The monuments that make up this World Heritage site constitute the most characteristic examples of structures representing a major development in the cultural as well as the artistic and technological domains. 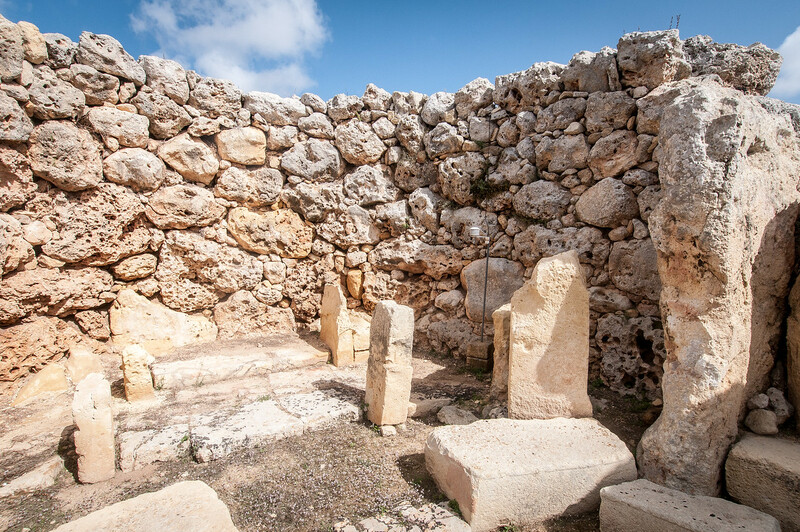 Professor Lord Renfrew (Cambridge University), one of the leading prehistorians of the present day, has described the group of megalithic temples on the islands of Malta and Gozo as ‘the oldest free-standing monuments in the world’. They are, moreover, remarkable for their diversity of form and decoration. 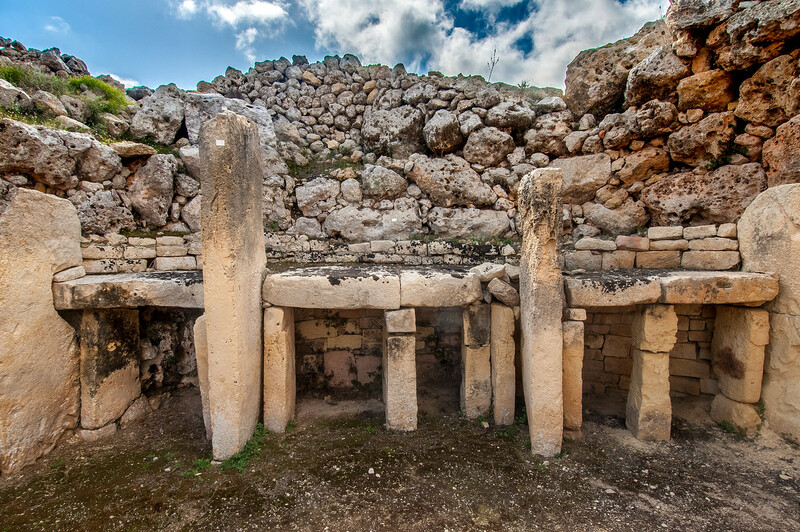 Being among the remarkable megalithic temples of the Maltese archipelago, the prehistoric ensemble of Ġgantija on the island of Gozo may be favorably compared with the three great temples of the island of Malta: Mnajdra, ?agar Qim and Tarxien. 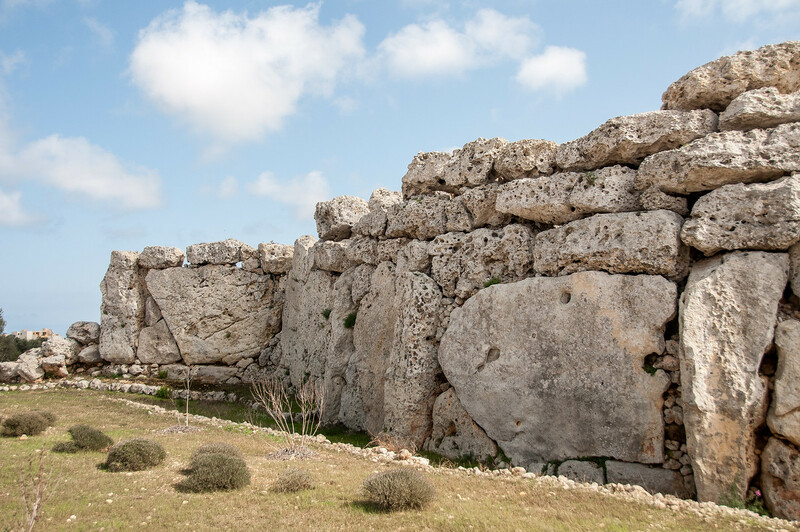 Within a completely preserved enclosure wall, Ġgantija consists of two temples of multi-foil plan. The southern temple, with its two elliptical cells, is the oldest; the northern temple, which is small in size, is more recent, although no later than 2200 BC. The ensemble of Ġgantija which serves as a point of archaeological reference – the ‘Ġgantija Phase’ (c. 3000-2200 BC) is one of the most important periods of the Maltese Bronze Age. The complex structure of the cultural group of Ġgantija, the excellent state of preservation of its materials – hard chalky coralline and the softer globigerina limestone – make it an excellent testament of megalithic prehistoric art. There are human artifacts older than the megaliths in Malta (cave paintings, pottery fragments, etc). However, there are no structures that we know of which are older. That fact alone makes this an incredibly important world heritage site. There are several monolithic structures around the islands of Malta and Gozo. The primary structure is the Ġgantija Temple on Gozo, which is where the above photo was taken. Getting to the various structures is not difficult once you are on Malta. The Ġgantija Temple can be reached by bus from the central station in Victoria on the island of Gozo. Likewise it, and the other sites on the island of Malta can all be reached by car or taxi. While significant, the sites are not actually that large and do not take much time to explore. 1 hour should be more than enough time for any of the sites. he Megalithic Temples of Malta is a cultural UNESCO World Heritage Site. It was inscribed during the 4th session of UNESCO in 1980 but was extended in 1992. This site consists of prehistoric temples that were built during three different periods. Expert archaeologists dated the Megalithic Temples of Malta to have been built from 3600 BC and 700 BC within the country of Malta. 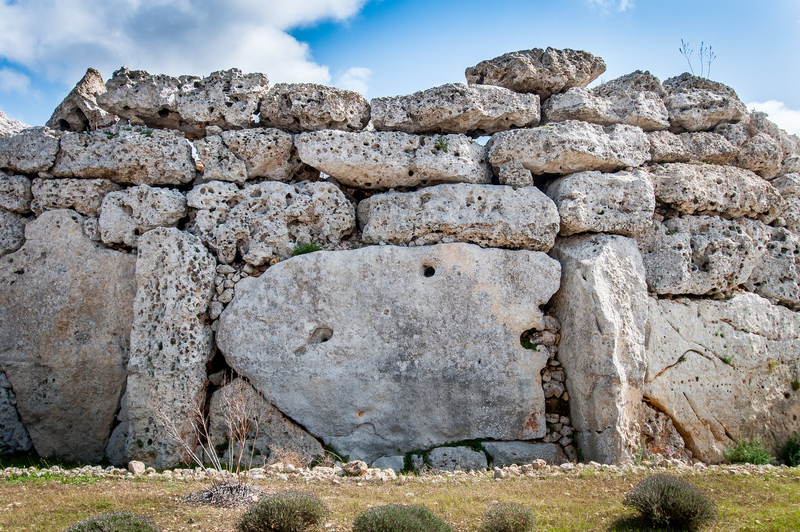 According to researchers, the Megalithic Temples of Malta are the oldest free-standing structures to ever exist. In fact, it is older than the Pyramids of Egypt. The archaeologists have theorized that these temples are a result of local innovation resulting from cultural evolution. The island nation of Malta has long been known to have a rich concentration of UNESCO World Heritage Sites. The Megalithic Temples of Malta earn a distinction for not only being a World Heritage Site but also for being the oldest building in Europe. The settlement in Malta by modern humans stared 7,000 years ago. This was when the Neolithic farmers decided to cross the 50 mile-wide strait from Sicily. Before these farmers settled on the island, it was purely uninhabited. The Megalithic Temples of Malta has been considered as candidates for the ‘Ancient Wonders of the World’. This is a recognition given to popular archaeological sites such as the Pyramids of Egypt and the Hanging Gardens of Babylon, to name a few. But many believe that due to the cultural and historical significance of these temples, they deserve the same recognition too. The Megalithic Temples of Malta are made out of stone, specifically coralline limestone. They follow a cloverleaf floor plan. There are also several distinctive architectural elements that were incorporated into the building of the Megalithic Temples of Malta such as horizontal arch and the unfinished dome. Another distinctive feature of the temples is the use of curvatures. Many archaeologists believe that these curvatures were added on purpose to follow the circular plan of many dwellings during the prehistoric times. Meanwhile, others also suggest that these could be underground burial chambers. The basic plan for the Megalithic Temples of Malta features a variety of hemispheric chambers, also known as apses. These chambers typically branch off from a narrow path. There are also theories that the temples and their design reflect that of a deity’s body parts – head, arms, and legs. This speculation was arrived at since one of the statues in the temple showcases the body of a ‘fat woman’, which symbolizes fertility. There are more sites and temples that are included in this list. However, some of them were reburied after they were excavated. There are also a few sites that were never excavated.